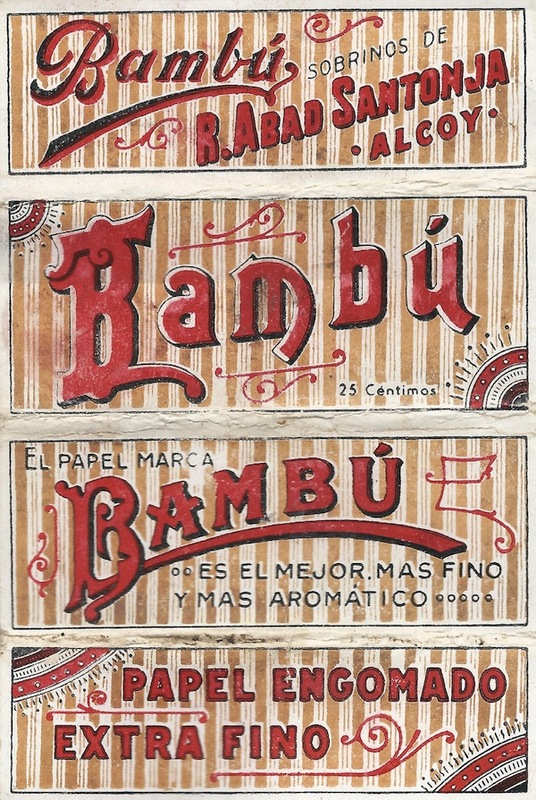 Top: The poster for Cheech and Chong’s 1978 film, “Up In Smoke,” was based on the design of Bambu rolling papers. 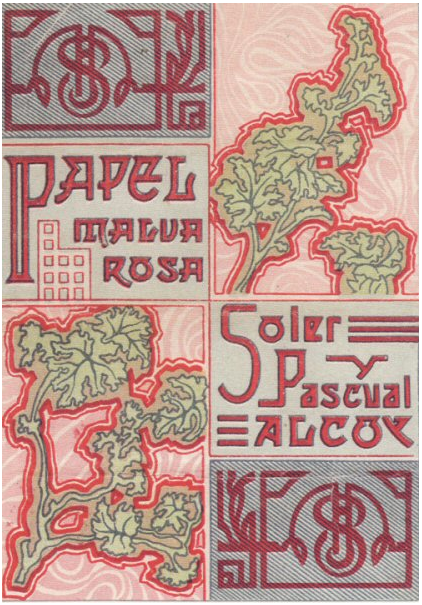 Above: This booklet is from around 1907. Equally ironic is the fact that rolling papers are so closely associated with marijuana. In fact, according to a Canadian study, the average tobacco smoker who rolls his own cigarettes consumes 12-and-a-half sheets of rolling paper a day, whereas the average marijuana smoker consumes less than half a sheet. The reason for the disparity is obvious when you think about it for a second or two—lots of people smoke a dozen cigarettes a day, but how many people do you know who smoke that many joints in a 24-hour period? Even Chong doesn’t do that. 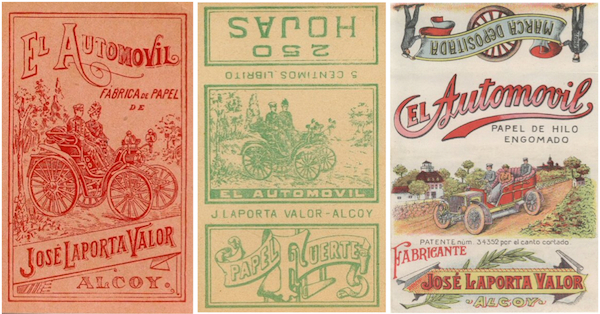 Josh Kesselman has been making RAW Rolling Papers in Alcoy, Spain, since 1995. 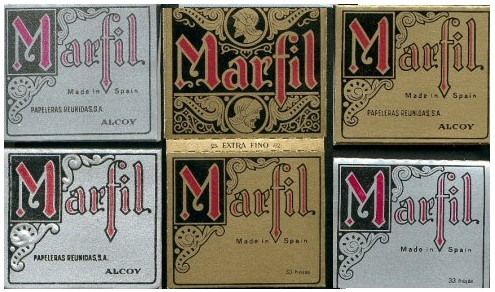 Kesselman was drawn to rolling papers by the magic tricks his father would perform with Marfil rolling papers when he was a kid. 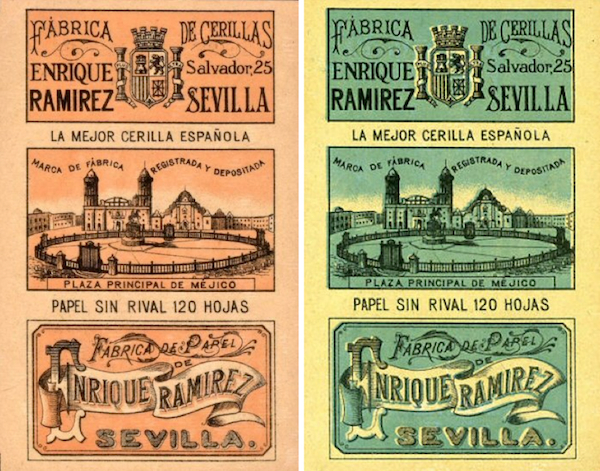 As an adult, Kesselman became a student of rolling papers, from their manufacture to their history, which led him to Alcoy, Spain, where, coincidentally, Cheech and Chong’s Bambu rolling papers were first manufactured, where Kesselman’s father’s Marfil Arroz papers were produced, and where RAW, Elements, and other Kesselman-designed rolling papers are made today. According to Kesselman, papermaking in Europe began in Alcoy in 1154, brought to Spain by the Moors, who learned the practice from the Chinese. “The original paper was mostly made out of hemp,” he says, “but it was made out of anything with fiber. 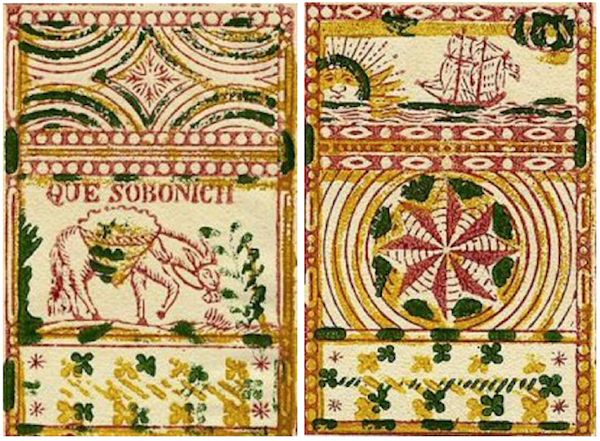 A lot of times they would recycle linens and rags, clothing-type stuff, anything that had fiber in it.” Paper had been used for currency in China beginning around the 7th century; not surprisingly, that was one of its first uses in Europe, too. These very rare booklets date from 1840 to 1850. 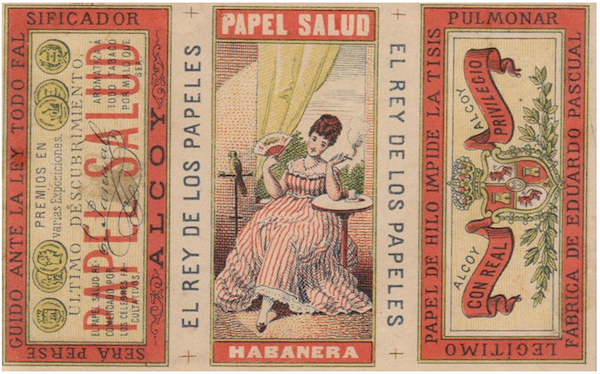 After tobacco was introduced to Spain from the New World in the 1500s, a tobacco trade developed in Europe in the 1600s. The aristocrats smoked Tommy Chong-size cigars, rolled in palm and tobacco leaves. When they were done smoking these enormous stogies, they would toss the butts on the ground, where peasants would pick them up, take them apart, and reroll what was left in small scraps of newspaper. 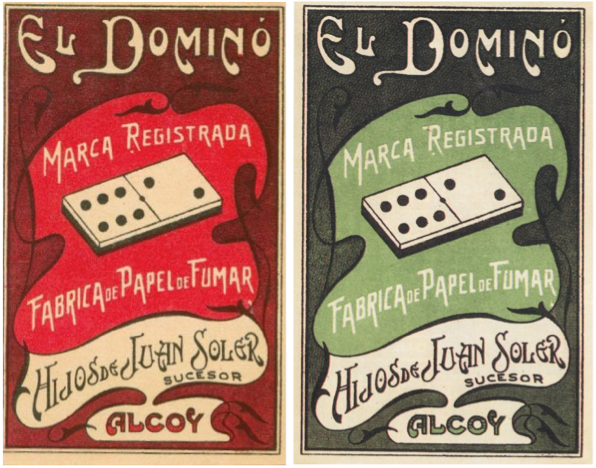 By the time the custom of smoking made its way to Alcoy, Kesselman says, the papermakers there recognized the need for a special paper made just for smoking tobacco, so they produced a clean-burning, white, rolling paper, which they advertised by promoting its hygienic properties. 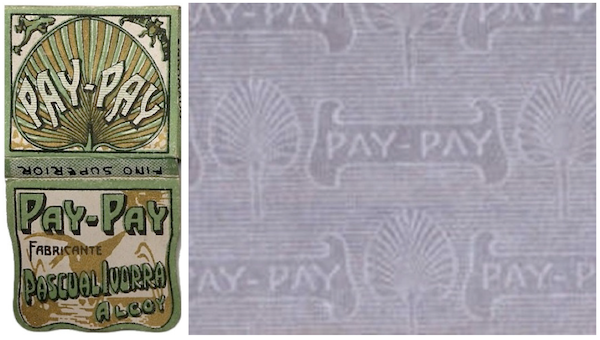 Pay-Pay exported its first rolling papers from Alcoy in 1703. This booket is probably from the early part of the 20th century. 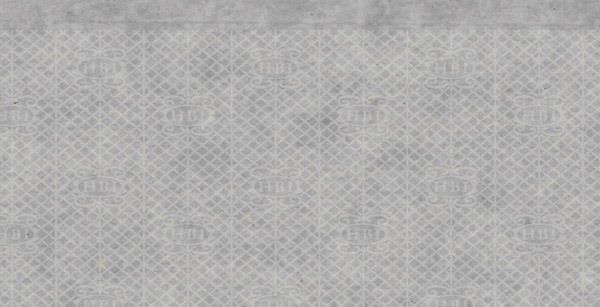 At right is a detail of the paper’s decorative watermark. 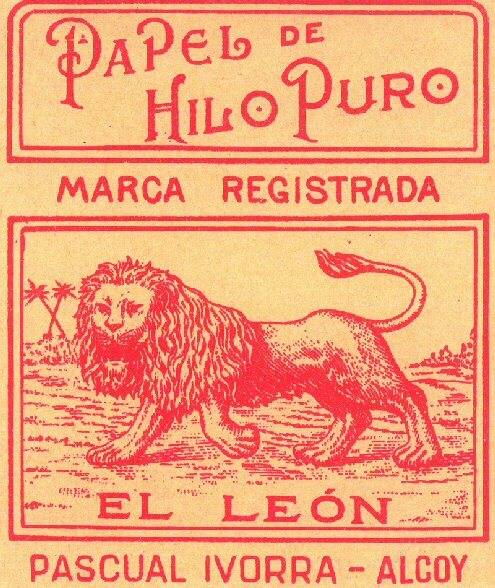 The first rolling papers were produced as large sheets that users would fold and tear, which is how the standard, 1 1/4 size, sometimes called Spanish size, developed. 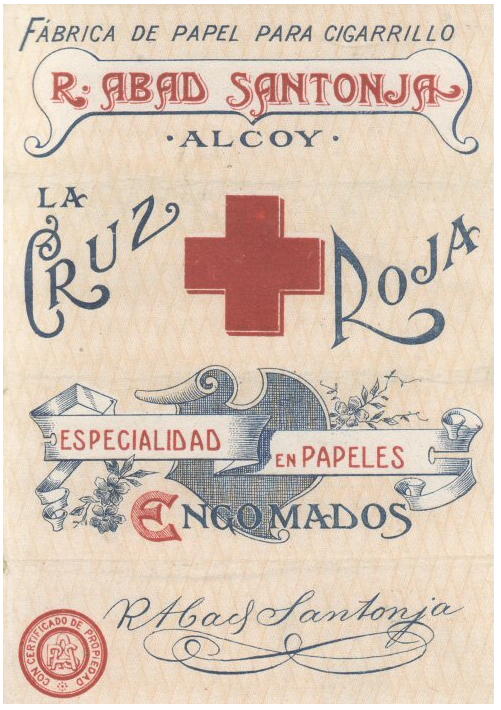 Eventually a Dominican monk from nearby Xàtiva realized that the papers would be easier to use if they were cut to size and protected by a little booklet, and by 1703, a company in Alcoy, Pay-Pay, was exporting rolling papers in booklets outside of Spain. For Kesselman, though, the reason to be in Alcoy, which he visits about four times a year, is about more than mere logistical convenience. “One of the things I like about Alcoy is its sense of history. There, you can sit on a mountainside where you can pick olives or almonds off trees planted by the Moors. There’s just this sense of connectivity that feels genuine, real.” Still, like the Moors, the rolling-paper industry has moved on. “Nobody’s left in Alcoy except us,” Kesselman says. 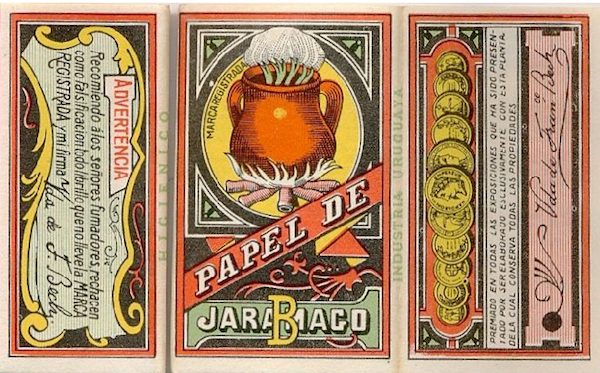 The colorful booklet at top is from 1923. The one of the hunter shooting the polar bear below it is from 1902. 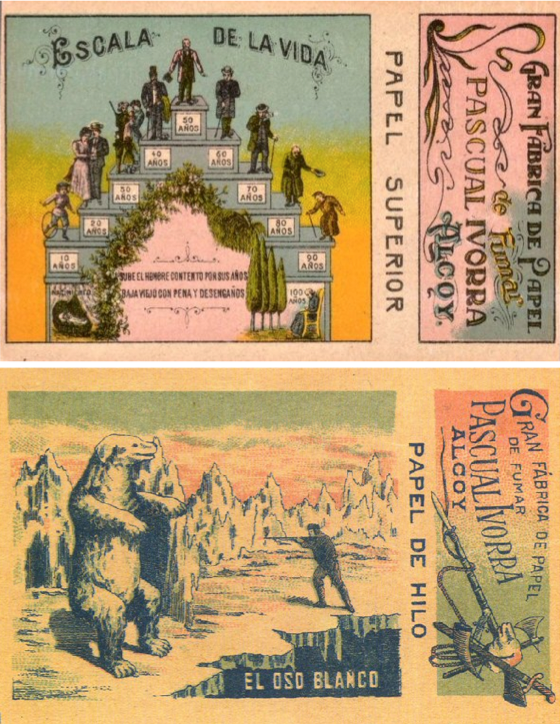 The booklet on the left dates from 1902, the one on the right is from 1904. The watermark used on RAW, Elements, and other HBI brands is designed to decrease runs as the cigarette burns. With hundreds of product lines and brands, Kesselman’s company is not exactly a non-profit. He, too, is in business, and makes no bones about it, but more than most enterprises, his business involves giving consumers control of their habits (and in the case of tobacco, their addictions), going so far as to offer tobacco seeds to his rolling-paper customers. 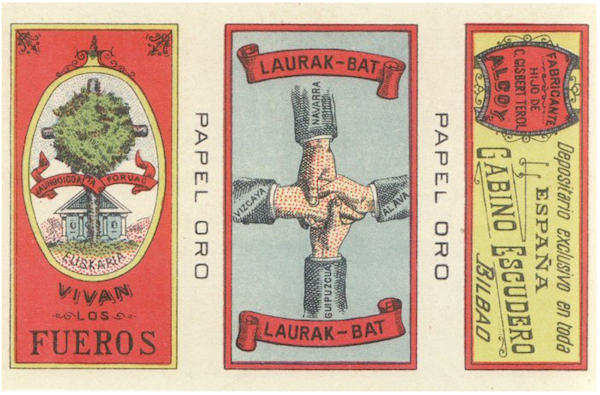 A lovely, and rare, booklet from 1894. A toxin, which, of course, he smokes. “At the end of the season I yank it and garage-cure it, which means it hangs for about six months until the ammonia all comes out of it. And when I’m out of my own tobacco that I grew, I will not smoke tobacco again until I have grown more, just to make sure that I don’t become completely addicted to it, you know? 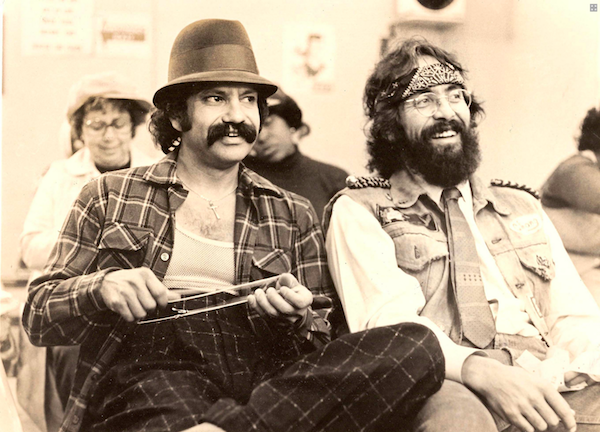 Cheech and Chong, back in the day. The comedy duo is currently touring again. 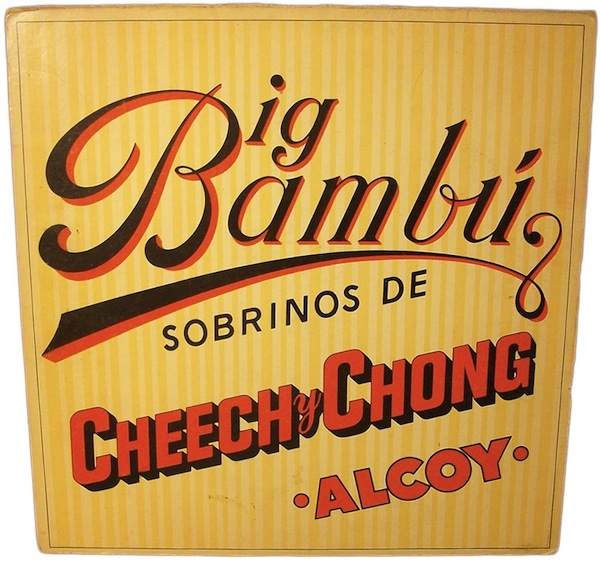 Cheech and Chong's 1972 album opened like a rolling-paper booklet and even featured a rolling-paper sheet watermarked with a picture of the duo on it. 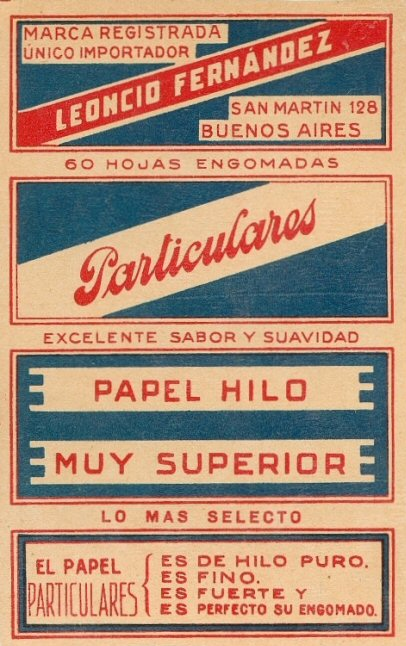 A flat-folder-style booklet from 1930. A handsome portrait from 1901. 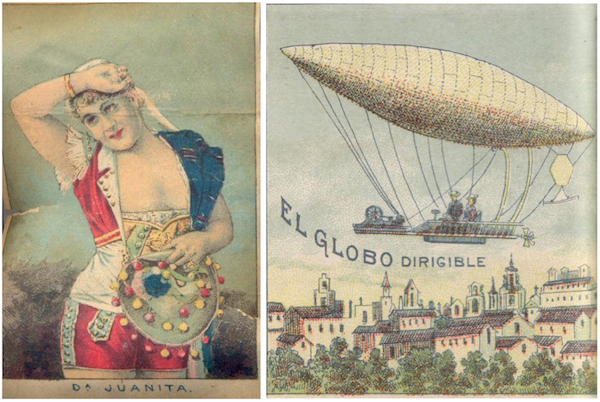 The date on Da Juanita is unknown, but the similarly styled El Globo Dirigible is from 1906. 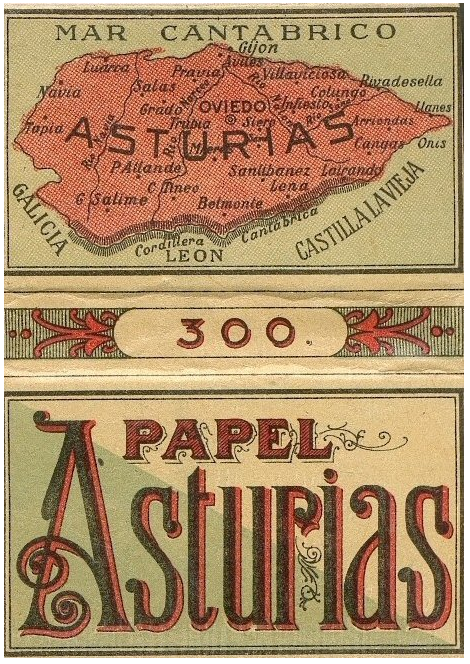 This hardback booklet from 1912 shows the Principality of Asturias on the northern coast of Spain. This rare beauty is from 1903. 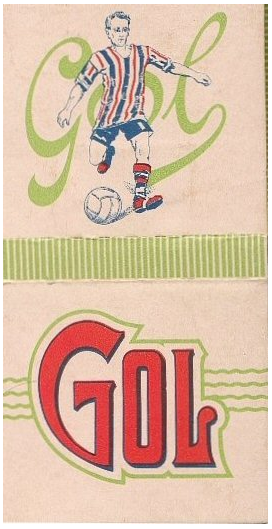 The art on this booklet from 1936 appears designed for football fans. 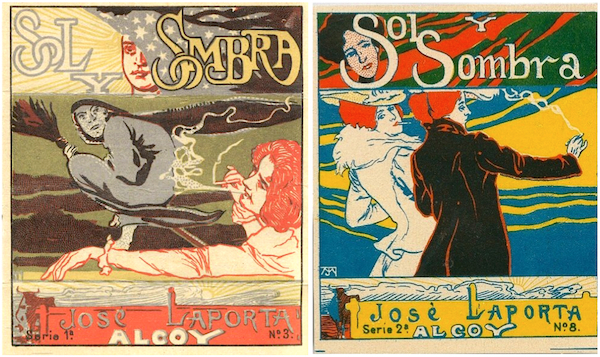 Bullfighting is a common theme on booklets. Each of these booklets contains 250 sheets, or hojas, which means leaves. 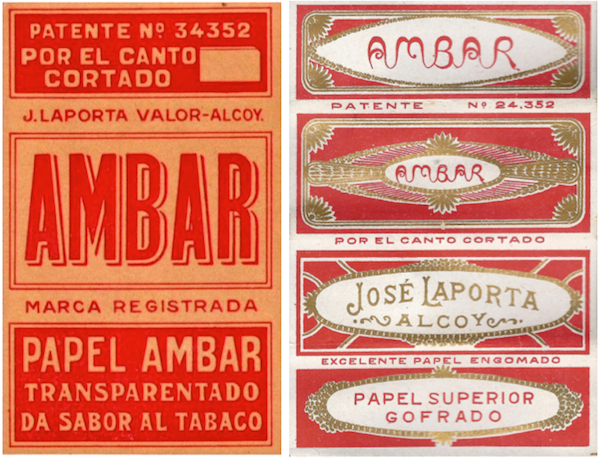 The Ambar booklet on the left is from 1904, the one on the right is from 1916. The booklet on the left from 1931 is relatively common while the undated one on the right is very rare. This long-folder-style booklet is from 1906. 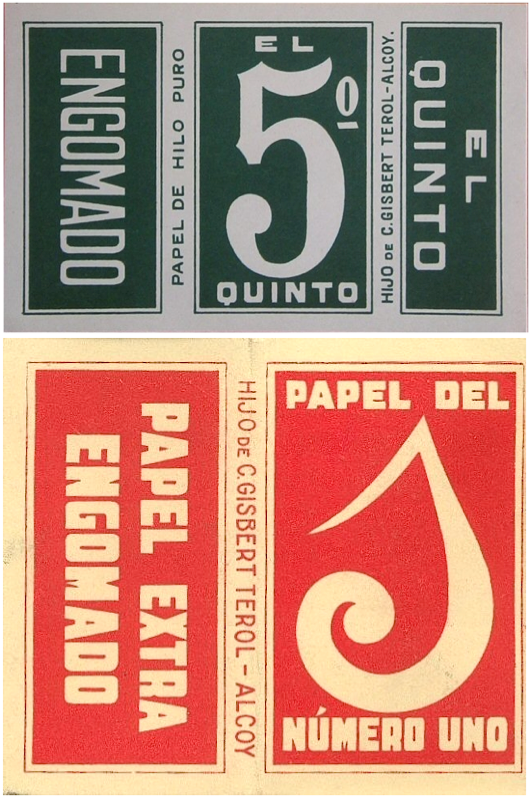 Sometimes the type on rolling-paper booklets was treated in an almost iconic manner. 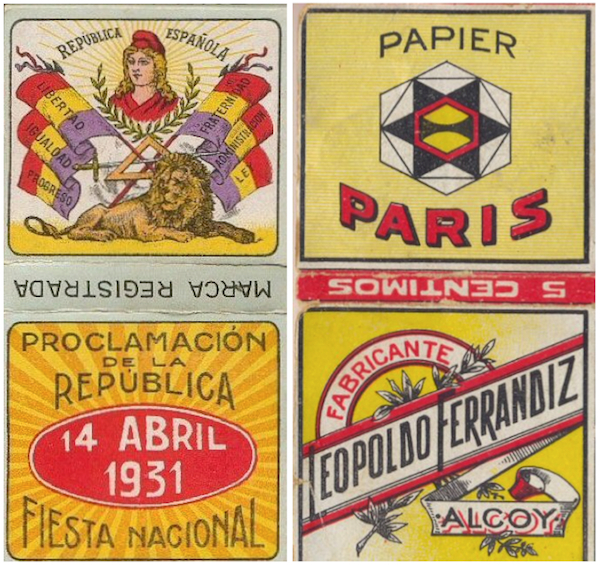 Quinto is from 1915, Numero Uno is from 1903. This booklet was made in Spain for sale in Argentina. A booklet showing a woman enjoying a cigarette, from 1877. 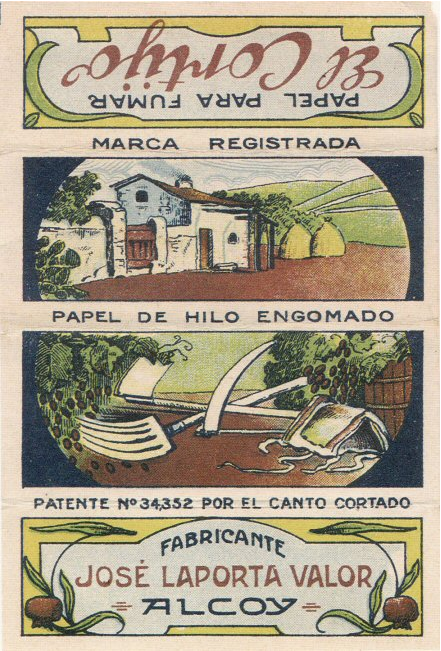 Another Spanish-made booklet, only this one is made for export to Uruguay. 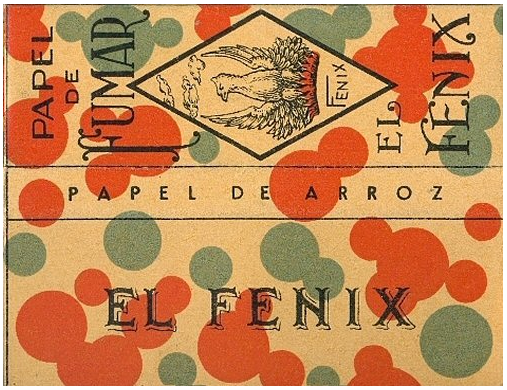 A pair of rare booklets from Sevilla. 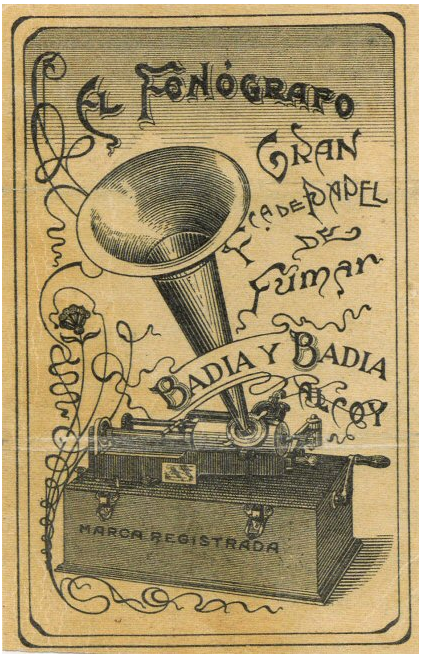 A very rare booklet depicting a gramophone from 1904. 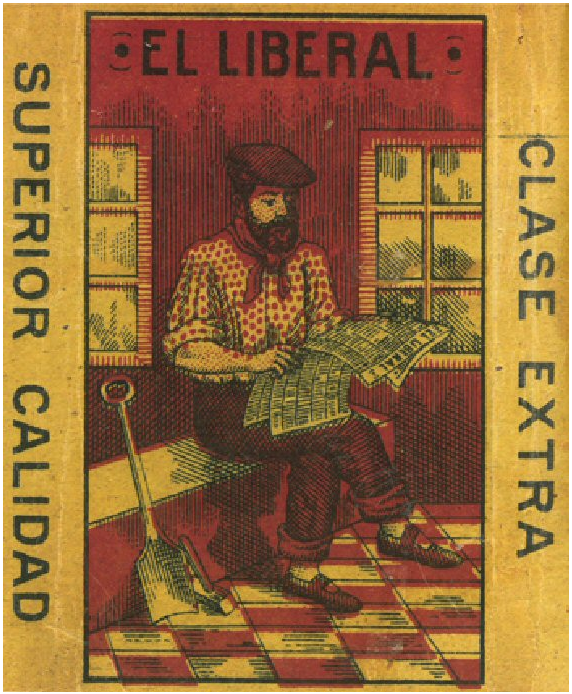 Adding blocks of color to booklets was a common design motif. A gorgeous long-style booklet from 1935. 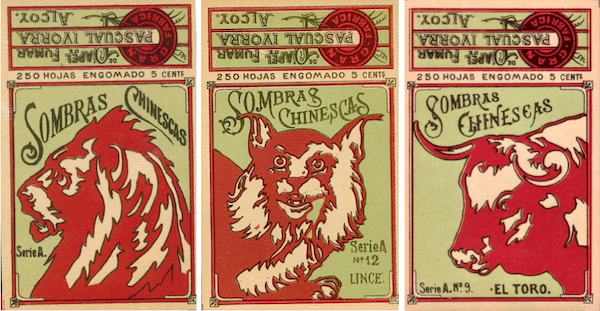 Booklets with the same design were often printed in different colors. 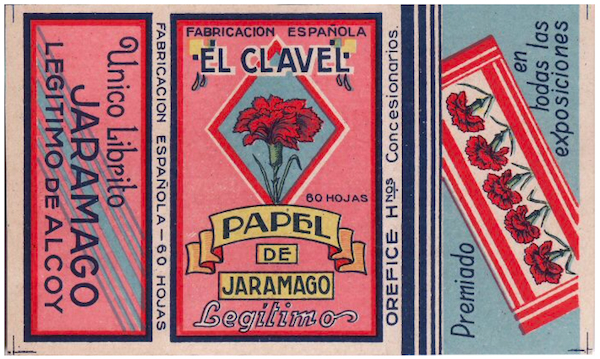 "The Carnation" was an Alcoy rolling paper made for the Argentine market. 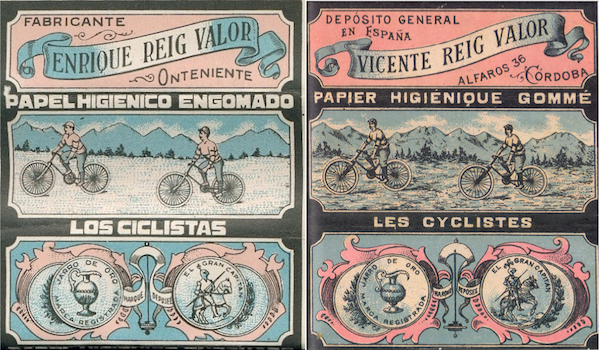 A pair of bicycle booklets from 1904. Automobiles were a popular subject. The booklet on the right dates from 1906. 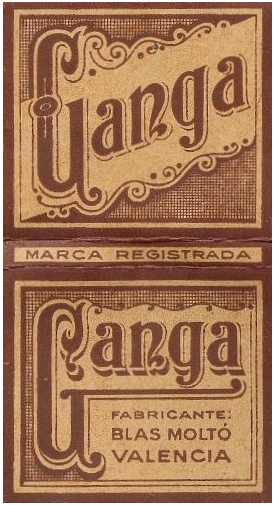 One-color booklets had the obvious advantage of being inexpensive to print; the Girafa booklet is similar to one from 1899. This square-style booklet is fairly common. Interesting, informative, nice hook and credibility from the esteemed T. Chong, supported with really nicely produced artwork … what an enjoyable article! 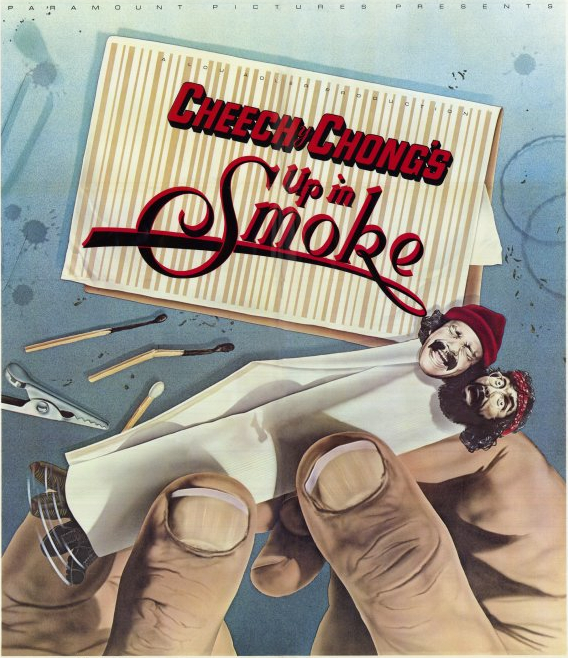 Very enjoyable… Brought back some found memories of watching Cheech and Chong from my childhood. Those two have had such amazing lives! “ ” The wall’s absence, a scar left on the urban landscape, speaks for itself.